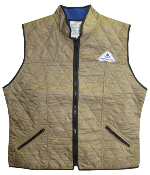 Buy Cool Vests to keep cool ,Helpful for MS and other health issues. Cool Vests For several years, Friends of Water has been supplying the best cooling vests and cooling clothing, using only clean, filtered water. 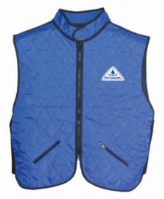 We carry a large selection of evaporative cooling clothes, dry vests, phase cooling vests, and cooling accessories. With a strong focus on customer service, we’re happy to answer any questions you may have about cooling clothing. Go to Cooling Vests in the store. 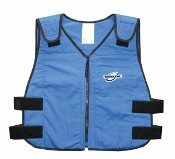 Basic Evaporative Cool Vests are quite inexpensive, and they will keep you cool for up to several hours, depending upon heat and dryness. They cool you by releasing evaporation. Your body really feels the difference, allowing you to go outside when you might not otherwise be able to, or stay outside longer than you would have. These are excellent for gardening, attending outdoor events, outside work, cycling, motorcycling, and just getting around if you are sensitive to the heat. 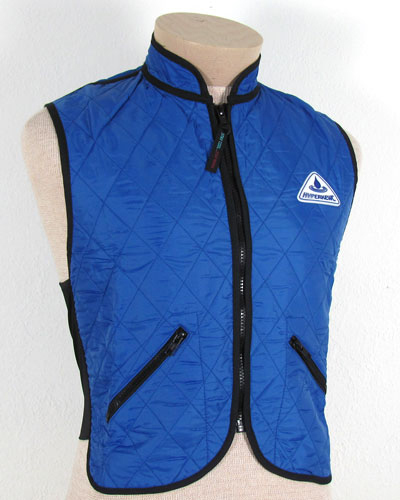 For a little more money women can get cool vests that are more shaped and more stylish – with varying colors and designs. 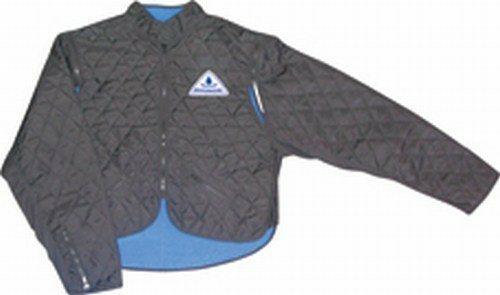 Our cooling vests and clothing items are available in varying styles and types, different colors and a full range of sizes.